First Appointment: New patients are asked to arrive approximately 10 minutes prior to their scheduled appointment time in order to complete their medical history and first-time intake forms. Initial Consultation: Patients should arrive without makeup, or prepared to remove makeup for all consultations to ensure a thorough, efficient and accurate assessment of their skin. Treatments: We suggest that patients arrive without makeup, or prepared to remove makeup for all treatments to ensure an effective and efficient treatment of their skin. Arrival: At DLK, we pride ourselves on being punctual and we want to ensure each patient receives full treatment time with our experts. 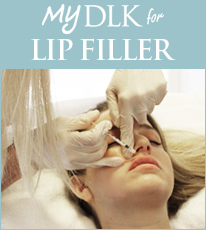 To make the most of your experience at DLK, please arrive at least 10 minutes before your scheduled appointment time. Appointment Times: Usually appointments run right on time, however, urgent situations arise daily therefore wait time in the office could be up to one hour. Post Treatment: After your treatment, you will be given a post treatment information sheet with instructions to obtain optimal results. Most DLK treatments will have you back to regular activities immediately but some treatments might require a short recovery period. Should you have any questions after your treatment, please do not hesitate to contact us. Dr. Lisa Kellett also recommends that all patients practice daily sun protection by using a broad spectrum sun block. Return Visits: So that you can schedule your most convenient time, we recommend that you schedule your next visit prior to leaving DLK. The Clear Clinical Line of Skin Care Products: Our DLK staff is highly trained to help you choose home skincare products associated with your services so that you can maximize the results of your treatment. The exclusive Clear Clinical Skin Care products are displayed throughout our facility. Please ask us questions and feel free to sample our products at the tester displays located throughout our clinic. DLK Gift Cards ‘The Science of Perfecting Skin™’: DLK Gift Cards are available through our Patient Services Representatives. Gift Cards are transferable, non-refundable and can be used on most of our treatments and on all skincare products. For additional information, please consult a DLK Patient Services Representative. Payment: We accept VISA, MasterCard, direct debit, cash and DLK Gift Cards as methods of payment. Our prices are subject to change and the applicable sales tax will be applied at time of purchase. Appointment Booking: To secure your appointment we will require a valid VISA, MasterCard or DLK Gift Card number. Your information will be kept strictly confidential and you will only be charged if you have not followed the DLK Cancellation Policy. Cancellation Policy: At DLK on Avenue, we strive to give you exceptional care with minimal wait times! Please note that to cancel or change your appointment, you must notify us at least 48 hours prior to the scheduled appointment to avoid the cancellation fee of 50% of the scheduled treatment fee. In the event a cancellation charge should be applied, DLK on Avenue will reserve these funds as a “credit” toward the same appointment when it is rescheduled and completed within 60 days of the cancellation date. DLK on Avenue Inc. will retain a $100 administration fee for all cancellation “credits”.